The above questions are quite common. What do u do in the above cases? I would have googled it for sure. And then google would list me a lot of websites that suggest the places to eat and i would be confused because clearly i am overloaded with information and selecting the right choice for me is not that easy. 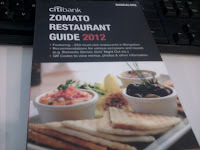 This week i got hold of the copy of the Zomato Restaurant Guide. Well the first expression when i saw it was WOW. This book is good. It is well organized. 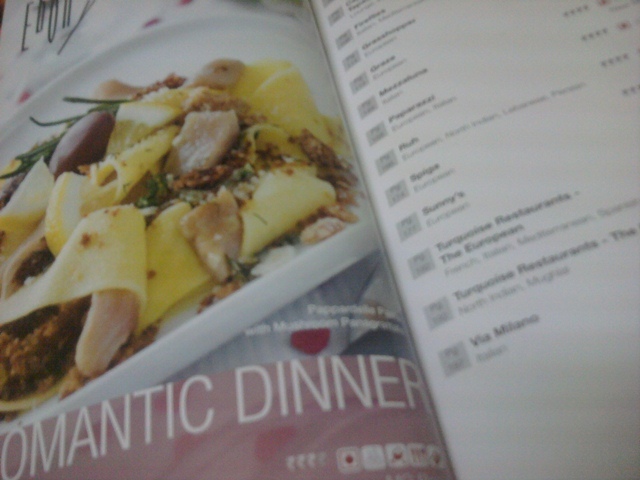 The images shown in the book makes you feel hungry even i you just had your meal. Frankly saying i haven't read any other food guide till date and its always my friends or colleagues who plan the meals. For lazy people like me, having all the required information at the finger tips is like a jackpot. Now about this book. To start with, the paper quality is nice and the book, worth for the money paid. Zomato has classified the restaurants into 22 categories. Each category has a dedicated page in the first few pages of the book. A pic of a mouth watering dish related to each of the category is very catchy. Each category has a number of restaurants to choose from.The 6 little icons next to the name give details of pricing, delivery, veg/non-veg, attached bar, dine-in and credit card option. Going further into the book we get into the restaurant details. Each restaurant has a dedicated half page to it. The best thing i liked about this page is the "Dont Miss" section. This section tells about the top dishes in the menu. This page has details of the address, the phone number and general user reviews and rating. 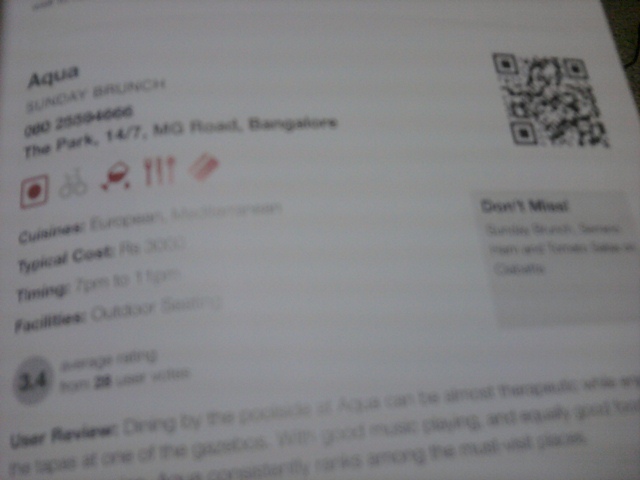 As we are in the smart phone generation, each restaurant has a QR code that links to Zomato website for more information about the restaurants, menu options etc. Nothing is perfect. Everything had something or the other to improve upon. Firstly, there are very few choices for people who are vegetarian or for people who have turned vegetarian. 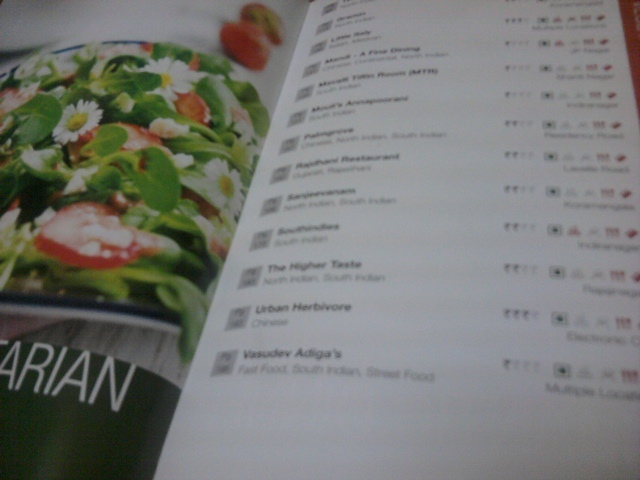 The number of veg restaurants listed are significantly lesser compared to the non-veg restaurants. And secondly it will be helpful to know if there is parking facility available at each of the listed restaurants. 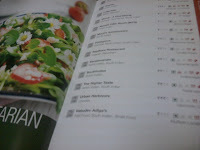 The book ends with an index with alphabetical order, it will be good if there was some way to have a area wise classification of restaurants also.